Esther Corpuz, Vice President of Vanguard Health Systems, is flanked by law enforcement, business, and civic leaders at a press conference supporting a proposal to grant drivers licenses to undocumented immigrants. Chicago, Illinois (CNN) - A coalition of immigrant advocates, as well as business, labor and civic groups in Illinois are publicly backing a proposal to grant drivers licenses to the state’s undocumented immigrant drivers. Those drivers, which number 250,000 according to advocates, would be able to acquire a special license, different than the one granted to citizens, with which they can legally drive and obtain car insurance. The proposal is part of a larger debate over how undocumented workers are treated in various states. The action in Illinois comes just a week after the presidential election, after the emerging power of the Latino voter became clear. Latinos made up 10 per cent of voters and helped President Obama secure victories in key battleground states. Obama got 71 percent of the Latino vote, compared to 27 percent for Mitt Romney, who had held a tough stance on illegal immigration. In the last week, there’s been a dramatic shift among some Republicans. House Speaker John Boehner has signaled immigration reform might be possible. Conservative host Sean Hannity reversed his position and is supporting a pathway to citizenship. 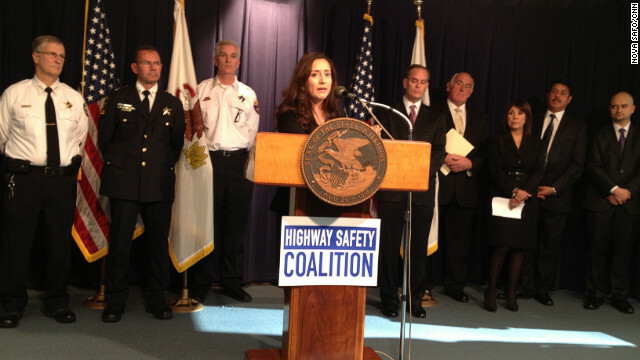 Illinois advocates hope their state will ride the trend towards finally enacting the driver’s license proposal.